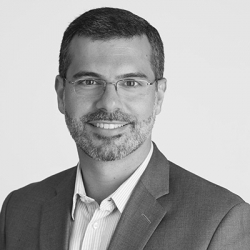 Paulo Salomao is a managing director in Accenture's Asset Management practice based in Toronto. With more than 10 years of both consulting and executive experience in the industry, he leads our asset management and pensions work in Canada. Paulo has functional expertise in corporate strategy, cost reduction, process and organization redesign, digital strategy and investment strategy/due diligence.